In what could be the very last fight of the eight time division champion Manny Pacquiao, he successfully defeated Timothy Bradley in their third match in a unanimous decision 116-110 and wins the WBO International Welterweight Title. Pacquaio, who claimed that this will be his last fight, showcased a vintage deadly form for the last time, dominating Bradley in their third and final match, Saturday (US Time) at MGM Las Vegas, Nevada. The fight went into 12 rounds, Pacquiao, convincingly won the score cards as all three Judges score’s the fight 116-110 all in favor to Pacquiao. The dominance of Pacquiao over Bradley shows that Pacquaio is still the man to beat inside the Boxing Arena. Bradley, who came strong in the earlier rounds, felt short as he suffered his second lost to Pacquiao. Despite the odds that many analyst think that Bradley will have the chance to beat Pacquiao, because of his great improvement and the names of boxer that he beat prior to this fight but still Pacquiao is too much for Bradley as the odds all went wrong! Pacquiao, proves to the world that he still got it, but sad to say that this might be the last fight that we will see the fighting pride of the Philippines Manny Pacquiao. 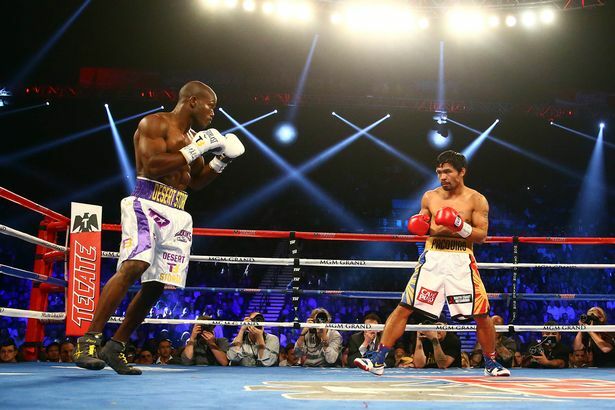 No Comment to " Manny Pacquiao Beat Timothy Bradley on Their Third Match, Wins WBO International Welterweight Title "